Panelists discussed emerging markets in the Northeast and innovation in medical cannabis technology. Philly Tech Week held its first cannabis industry conference this past weekend, hosted by Greenhouse Ventures, a cannabis startup accelerator based in the Northeast. The Innovation in the Cannabis Industry conference brought leaders in cannabis technology, investing and medical research to discuss the changing landscape of the cannabis marketplace in the Northeast. Tyler Dautrich, co-founder of Greenhouse ventures, welcomes attendees; the event sold out. Kicking off the event, Tyler Dautrich, co-founder of Greenhouse Ventures, welcomed attendees to the first ever Philadelphia cannabis conference. The initial panel of the day reviewed investment trends and included Scott Greiper, president & founding partner of Viridian Capital Advisors, Marc J. Ross, Esq., founding partner of Sichenzia Ross Friedman Ference LLP, Jim Fitzpatrick, advisory board member at Kodiak Capital Group and John Kagia, director of industry analytics at New Frontier Data Analytics. 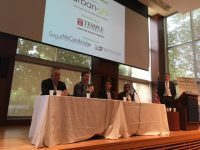 The panel, moderated by Kevin Provost, co-founder of Greenhouse Ventures, examined various financial trends in the marketplace, roadblocks to raising capital for startups and emerging markets. The Investment Trends Panel from left to right: Scott Greiper of Viridian Capital, Jim Fitzpatrick of Kodiak Capital, Marc Ross, Esq., John Kagia of New Frontier and moderated by Kevin Provost. John Kagia of New Frontier provided useful tools in comparing cultivation models as well as industry projections. “It [the legal cannabis market] has largely been dominated by the West Coast,” said Kagia. “The East Coast is very well poised for success.” Scott Greiper, president of Viridian Capital, discussed his top performing markets. “Biotech is definitely the top performing category and a close second is cultivation and retail –production and sale is at the root of every industry,” said Greiper. “At its core, cannabis is an agricultural commodity.” He went on to list infused products as the third top performing market, noting that edibles account for over half of retail sales. Future Business Outlook Panel from left to right: Steven Schain of Schain Law Firm, Leslie Bocksor of Electrum Partners and Matt Karnes of Greenwave Advisors. In looking at emerging markets, Leslie Bocksor, president and founder of Electrum Partners, echoed Scott Greiper’s advice for new businesses to stay grounded in the numbers and operations. “Stay focused on solid, tangible data,” Bocksor said. The two also shared a similar view in opportunities in hemp. 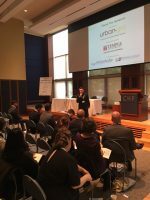 “Hemp is a very underserved niche and there are ample opportunities for new businesses,” said Bocksor. 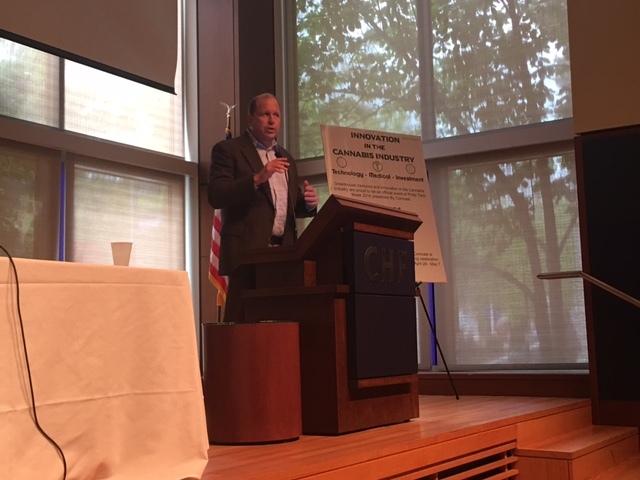 State Senator Daylin Leach was welcomed with a standing ovation. 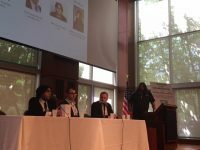 David Goldstein (center) sat on a panel discussing med-tech and how it can help the cannabis industry. The conference closed with a panel of physicians discussing their clinical experience with recommending cannabis and the gaps in medical research. Among them, Dr. Scott Gottlieb, board-certified anesthesiologist and pain management specialist from Pearl River, New York, discussed some of his experience in recommending cannabis in treating neuropathic pain. The closing panel emphasized the need to educate more physicians and some of the obstacles to physicians recommending cannabis. 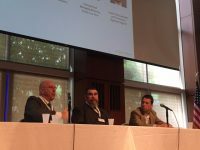 The conference highlighted the Northeast as a quickly emerging cannabis market ripe with business opportunity.